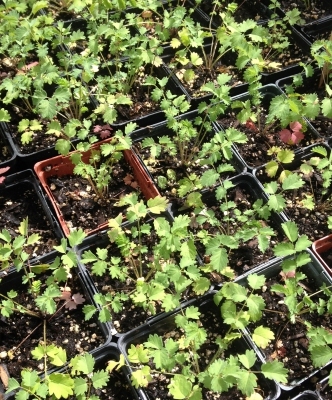 Once widely grown in Europe as an edible garden plant, salad burnet also makes a nice low-growing ornamental. The young leaves are nice in salads and the older leaves can be cooked in soups and stews, though shouldn’t be overcooked. They’re very easy to grow; only a third of the leaves should be harvested each season to avoid harming the plant.